So, you’ve clearly got a talent for SFX! What got you interested in this kind of makeup? Throughout most of my life I pursued becoming a cosmetologist, which I achieved, but in beauty school I was sad when they practically skipped the makeup course. 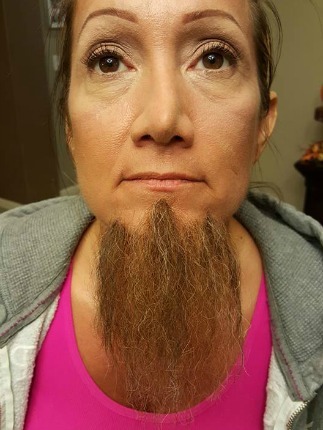 Not that they would teach special effects makeup, but I did have a big interest in makeup. I began to practice more and more makeup, but then one day came across a special effects YouTube channel, and couldn’t really stray away from it. So then I purchased a basic special effects kit, and dabbled in it, until I eventually couldn’t wait to practice when I would get home from work, and now it’s a huge passion. Where do you hope to go with your SFX skills? What kind of careers are you looking at? I mean, it would be great to do movies or television shows, but also I think it would also be great to work with cosplayers who like to go to conventions. I think there’s a few things you can do, but I would probably be most enthused doing those two things. As well as studying makeup, you’re a licensed cosmetologist. What are the advantages of being licensed? Do you do any cosmetology work? Being a licensed cosmetologist I get a good chunk of everything, not just makeup. I’ve learned about coloring hair, cutting hair, manicures, pedicures, facials, and eyebrow waxing, but honestly, I don’t do all of that. Currently I am working for Sportclips, which consists of mainly just hair cutting, but I still take time to continue my knowledge on hair coloring. What I like about knowing all this extra stuff is that, if the day comes, when I am working for some movie production I can take what I’ve learned and not just have ideas for the makeup but for the overall look, what tones look good with what, etc. Tell us about your favourite job, client, or assignment so far. My favorite assignment, so far, would be the 1st, 2nd, and 3rd degree burn assignments I did. Mainly because I actually had no blister prosthetics and I had to find a way to make my own, but for some reasons burns in particular I really like doing. What’s up next for you? Where do you see yourself (and your business!) in the next 1, 5, and 10 years? Well the dream is moving somewhere like Hollywood, working on major movies and still doing hair. I guess we will see. What’s your best advice for a makeup artist just starting their training or career? I think if you have a passion for this, then you should go for it, and don’t be afraid to look for help, get some schooling, or anything that you think can help you achieve your dreams. And the question everyone wants to know—what makeup product is an absolute essential for you? Honestly, I’m still on trial with all products I use in the special effects world. 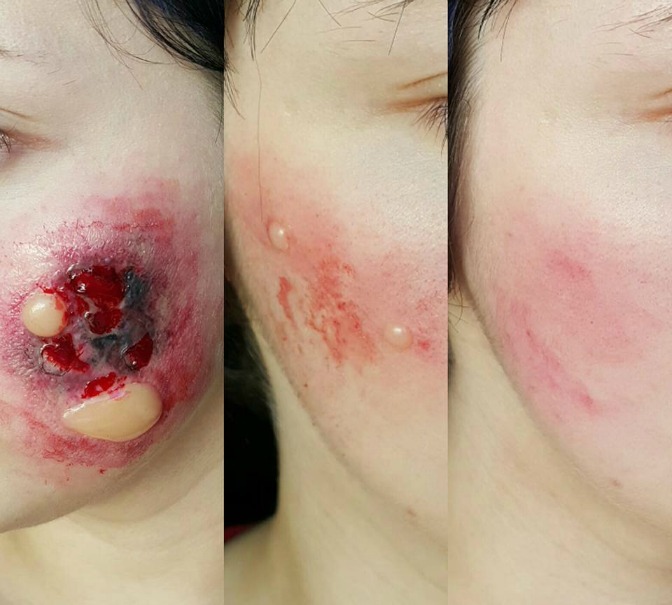 The one thing that would be obvious is your face and body paint, or alcohol activated paints, or cream palettes—you can’t really have an SFX piece with out that. But as far as, let’s say, liquid latex, or scar wax, or gelatin, I don’t have anything that I prefer over the other. I’m still experimenting with everything. 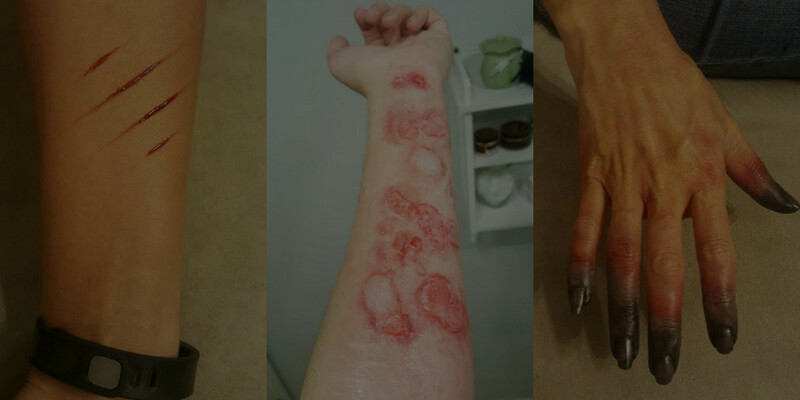 Check out some more of Allison’s amazing SFX work! Want to see more? Check out some of our other incredible makeup artistry students! 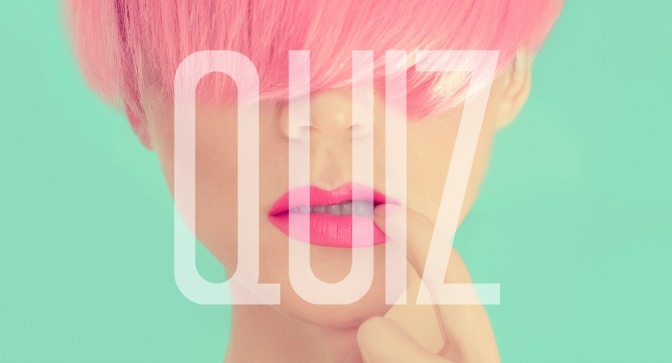 Quiz: What Makeup Trend Should You Try Next?